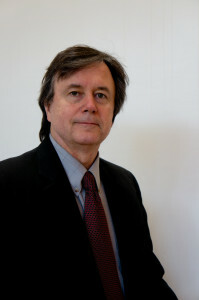 Russell S. Dameron has been representing people in their pursuit of justice for nearly 30 years. He graduated from the University of Missouri at Kansas City with a degree in Economics with Distinction in 1981 and from the UMKC School of Law in 1984. He has been fighting for people against insurance companies and corporations in the courtrooms of Kansas and Missouri ever since. He has tried numerous jury trials in state and federal courts. Mr. Dameron has represented people whose lives have been devastated by catastrophic injuries and death. He is an advocate for people who have been the victims of negligence, including careless driving, drunk driving, defective products, medical malpractice, and on-the-job injuries, recovering millions of dollars in settlements and jury verdicts. He is a long standing member of the Missouri Association of Trial Attorneys. Mr. Dameron is licensed in Missouri and Kansas. He was born and raised in the Kansas City Northland and has received recognition as “Best Attorney” in the Northland annual readers’ surveys sponsored by northland press.